First off I had a wonderful evening on my not so often week-night out on the town. KJ and I had a hankering for Santa Fe style mexican. I am sure it had a lot to do with all that talk about going down to Santa Fe earlier this month. The paper did a dining review on a little place downtown. I had done the photography and KJ read it and we had to check it out. Disclaimer here, when I left after photographing the food for the review that had packed up the tostadas I photographed. They said take them, we will throw them out otherwise and you are soooo thin. Ok, I lied about the thin part. The point is we are discouraged from taking food that is being reviewed by the paper because it will look like we are unpartial. I do not write the reviews anyway. So I took the bag and there it sat in my car until the following day when I thought, what ta hell is smelling up my car? So I did what anyone else would do and ate the tostadas with my hands from the styro package. I know should of ate it when I could of had crunch out of the tostada. It was delicious none the less. We enjoyed both plates we ordered and split. One was a rellano stuffed with goat cheese, the other pork loin ( I don't know how they got the loin so tender) served in a red chile sauce. Heaven every bite. Also had a couple of margaritas while we both spoke about how much we have both cut down on drinking. I know, but we really have. The rating food and company: A+. We walked over to the Pikes Peak Center and met up with the others to watch the play. I had heard both good and bad things so I didn't know what to expect. First off the seats Denise got us were fab. About eight rows out from the orchestra pit. It was a puppet show but the puppeteers stayed on stage and made the same expressions and hand movements as the puppets they were operating. Seven cast members and three of them didn't run puppets. One of the characters was Gary Coleman,right above, as child star turned building super. I will tell you about today tomorrow. Here's a sneak preview: I came home from work, took a shower to get cigarette smoke off of me and took a two hour nap. Whew! 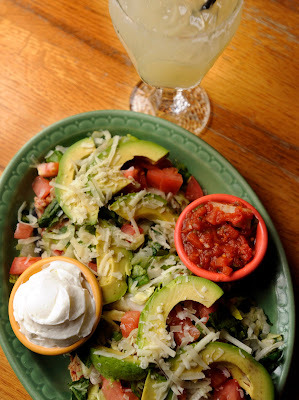 Gosh, now I really really really want some Tex-Mex! 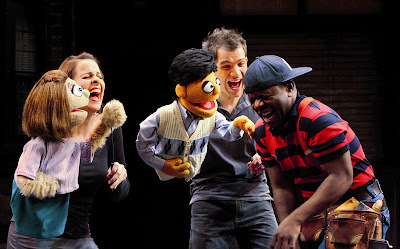 I've heard grat things about Avenue Q as well. Sounds like a fun trip all around!